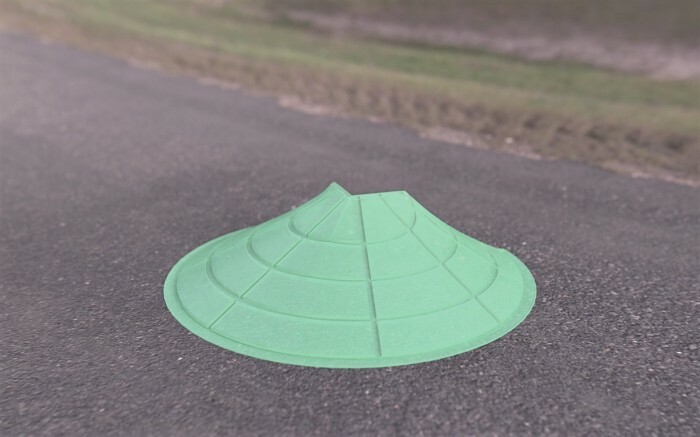 A rainwater diverter shell has edge flashing with a right-angled flange formed by a first upper flange that defines a first vertical plane and a second upper flange that defines a second vertical plane orthogonal to the first. A first side flange extends between the first upper flange and a base and has a first side flange surface in parallel to the first vertical plane. A second side flange extends between the second upper flange and the base and has a second side flange surface in parallel to the second vertical plane. A horizontal base flange defines a base plane. The horizontal base flange extends along an arc that subtends a reflex angle between the first and second vertical planes. 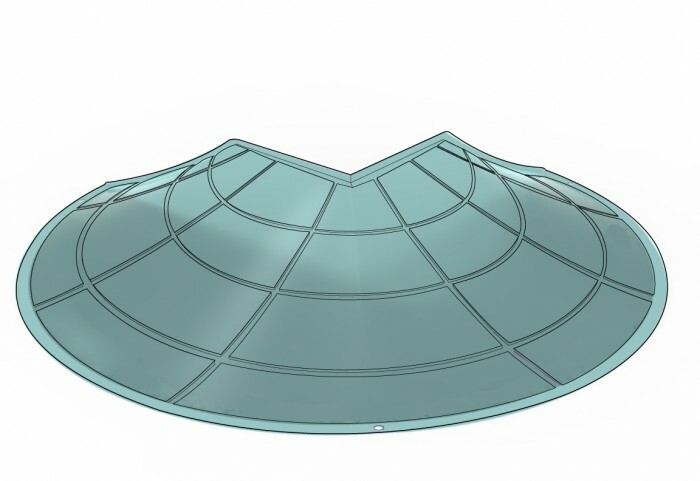 A sloped surface descends from the edge flashing to the horizontal base flange and extends across the rainwater diverter from the first side flange to the second side flange. 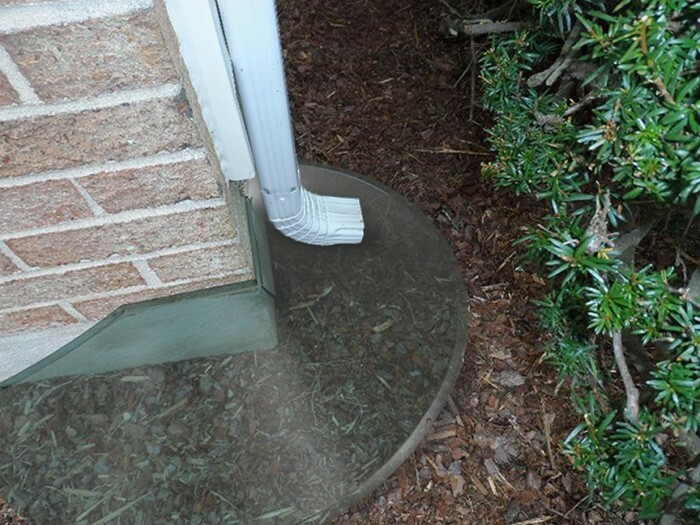 Patent catches and diverts not only water from downspout, but also catches and diverts water from gutter overflow, elbow separation and other above grade issues. 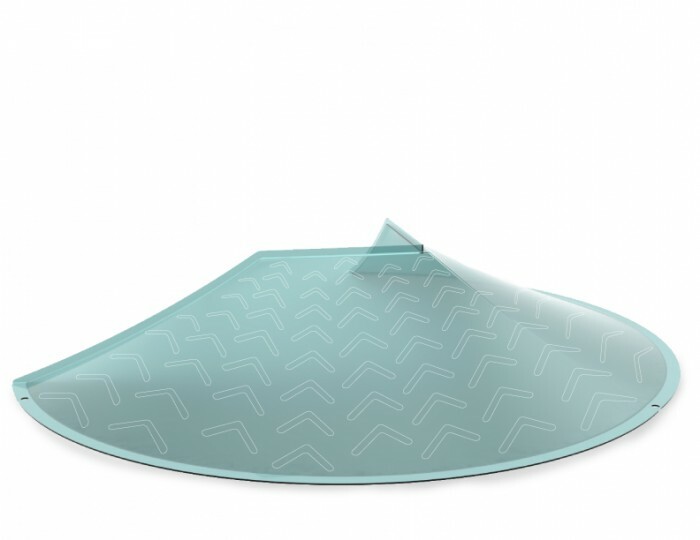 This patent encompasses claims no other patent has, and offers 270 degrees of diversion surface rather than only a narrow channel. After tooling product can be manufactured for about $4 per unit and will retail at $7.95 per unit. 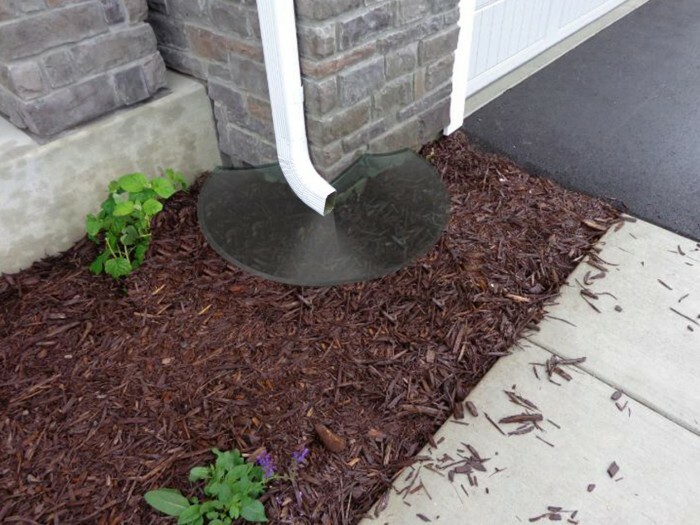 This product would replace common splash blocks and offers superior protection and has proven effective for all claims, even catching and diverting water from gutters and other above grade downspout failures. There is no shelf life for this product. This rain diverter does what no other similar invention can do--or even claims to do. Tooling quotes from out of country manufacturers range from $45K to $65K. QVC recently sold over 600,000 units of a similar product. As long as there are houses and other similar structures, there will be a need for this product. Would like to license with royalties—3% for the life of the patent—but would also sell outright for a legitimate offer—$100,000.00 +2%. Any sale or License would include all materials associated with the patent, including slideshows, web sites, renderings, animations and other pertinent materials and properties. Multiple CAD files exist for this product. 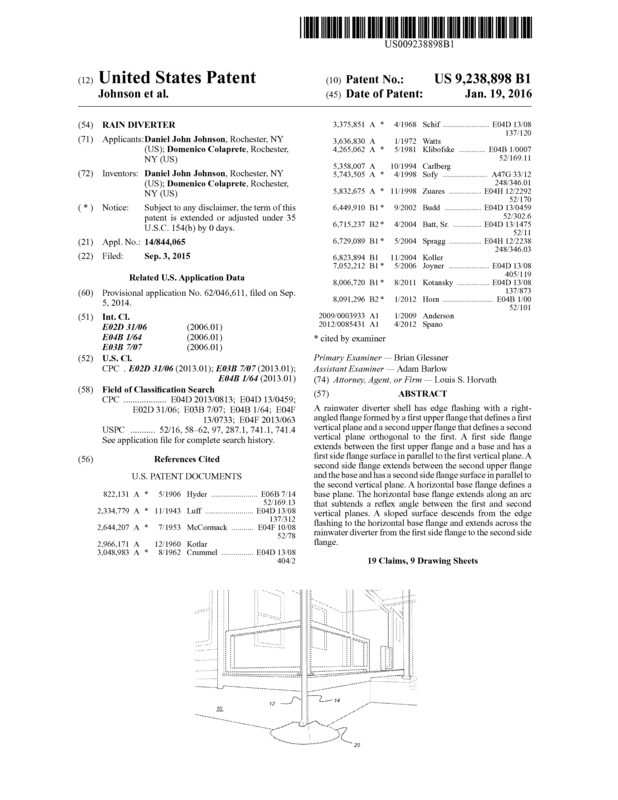 Page created at 2019-04-26 17:47:24, Patent Auction Time.